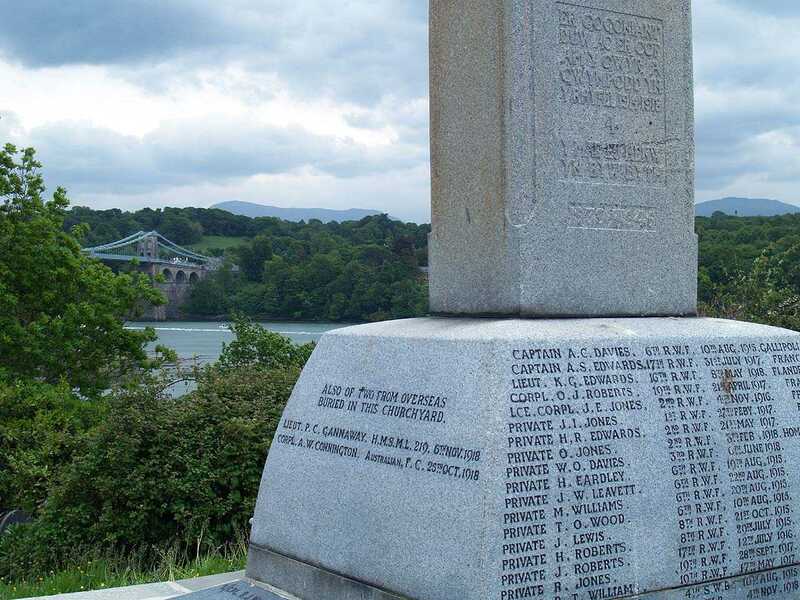 Menai Bridge War Memorial is without fear of contradiction in the most beautiful location of any War Memorial on Anglesey. 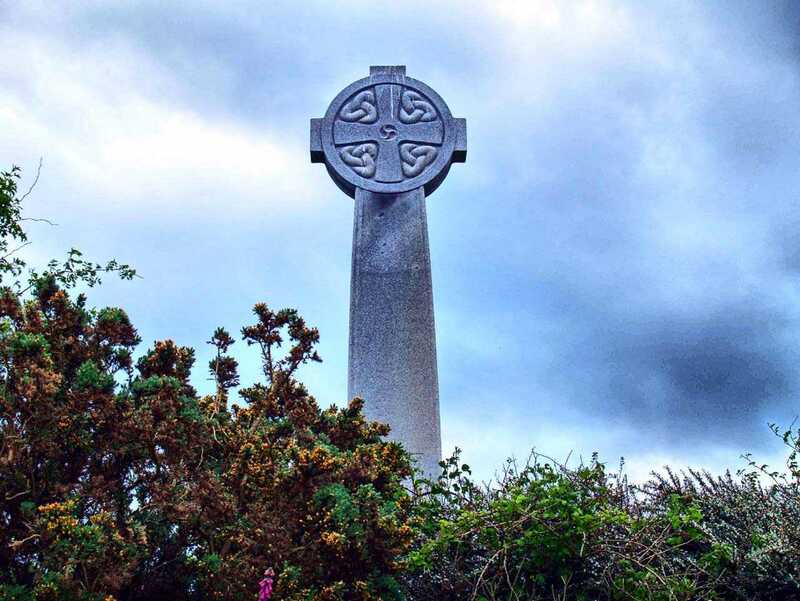 It was erected on the highest point of an island named Church Island, and it shares the grounds with the 6th Century Church of St Tysilio. 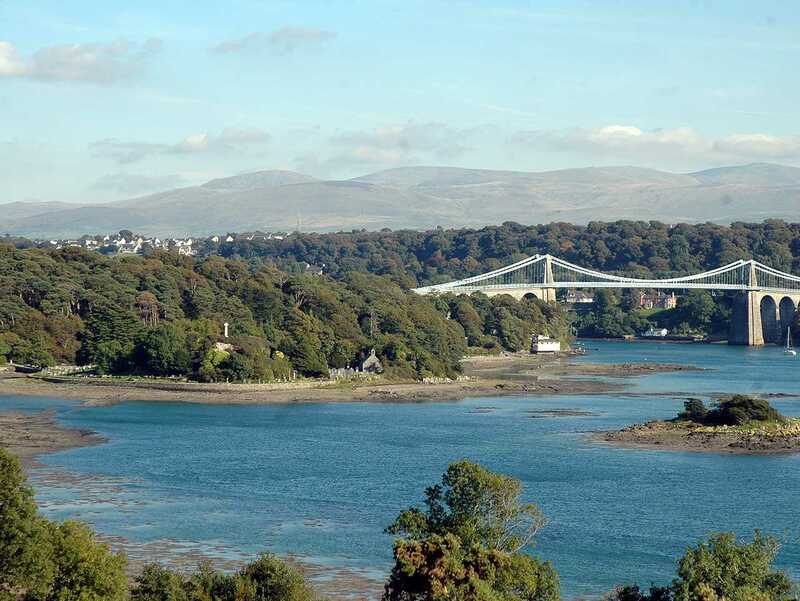 To each side of the island there is a view of one of the two local bridges over the Menai Straits, Telfords' Suspension Bridge, and Stephensons' Tubular Bridge. 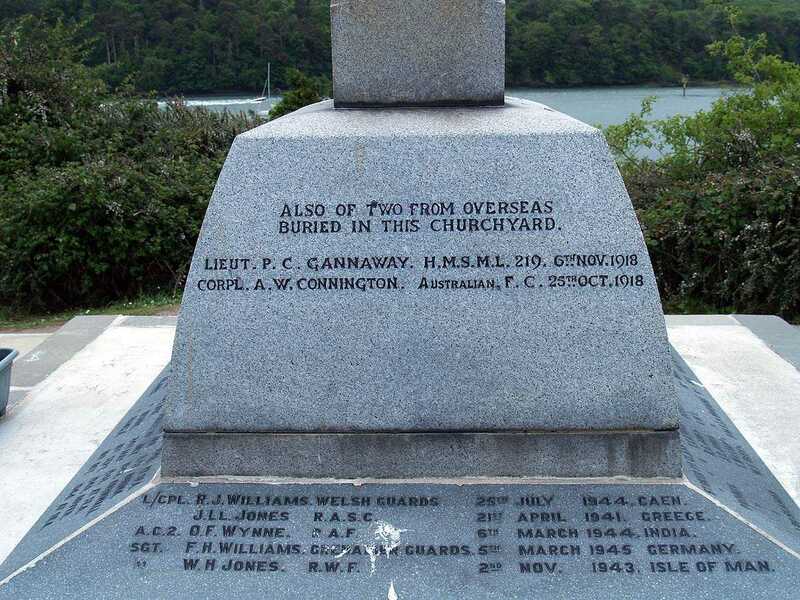 As the waters of the Straits sweeps idly by it is a place worthy of the remembrance of these brave souls. 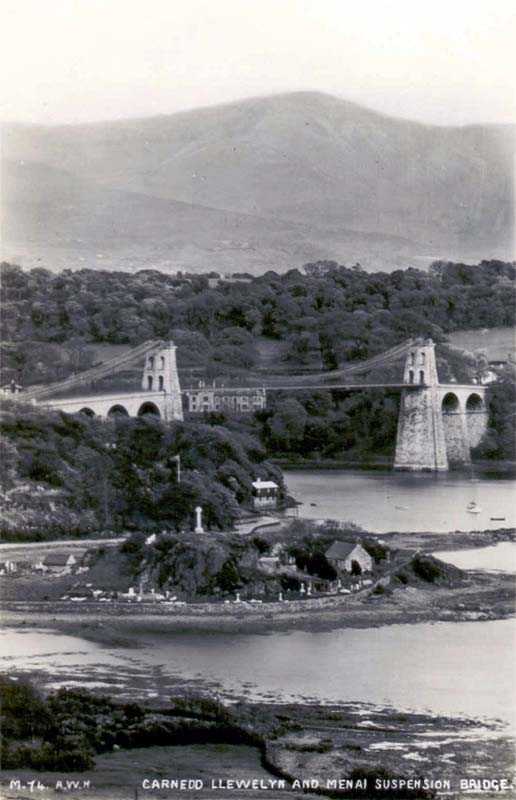 Anglesey, Menai Bridge, The War Memorial can be clearly seen to the left of the Church. 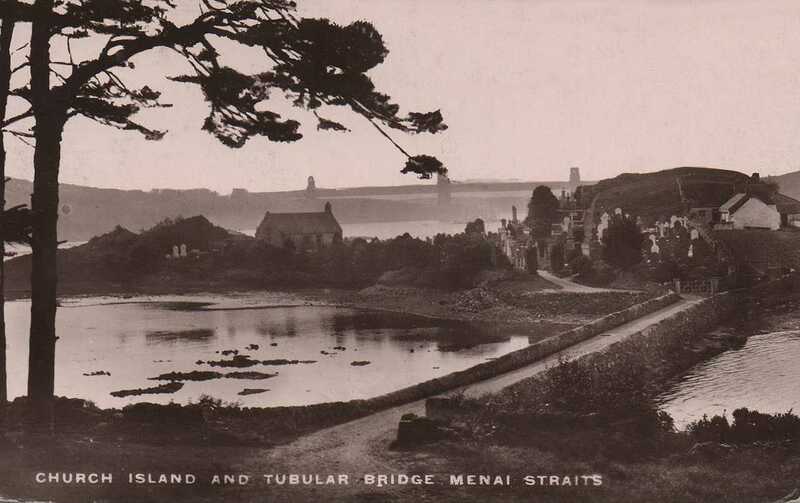 Anglesey, Menai Bridge, Church Island and the Tubular Bridge before the erection of the War Memorial which is now on the mound to the right of the image. 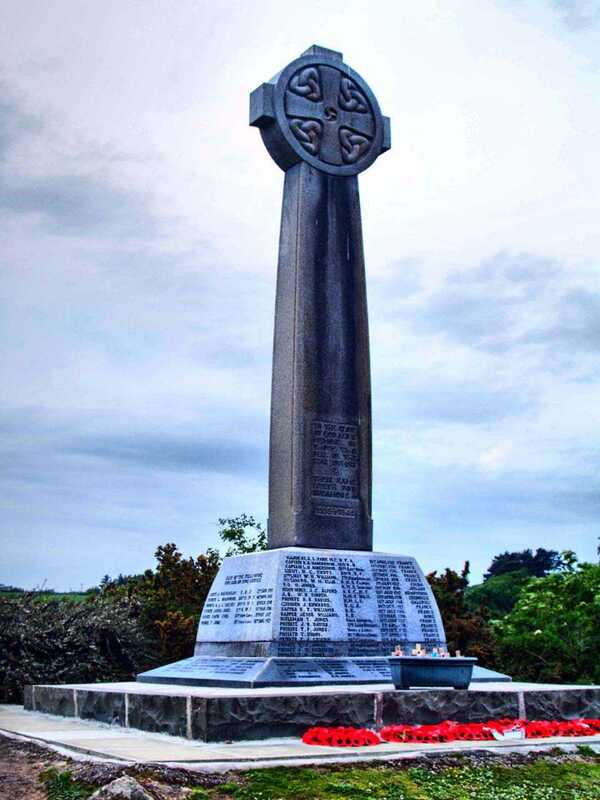 Menai Bridge, War Memorial Celtic Cross in hdr. 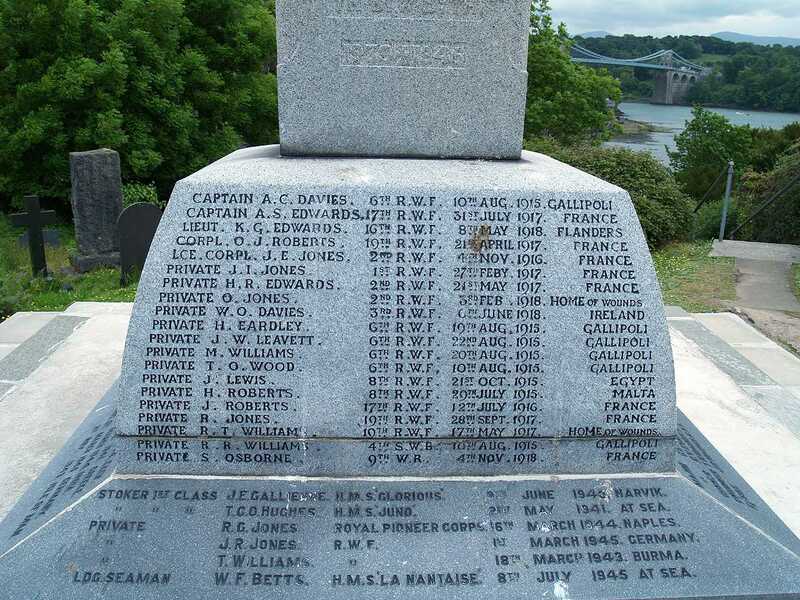 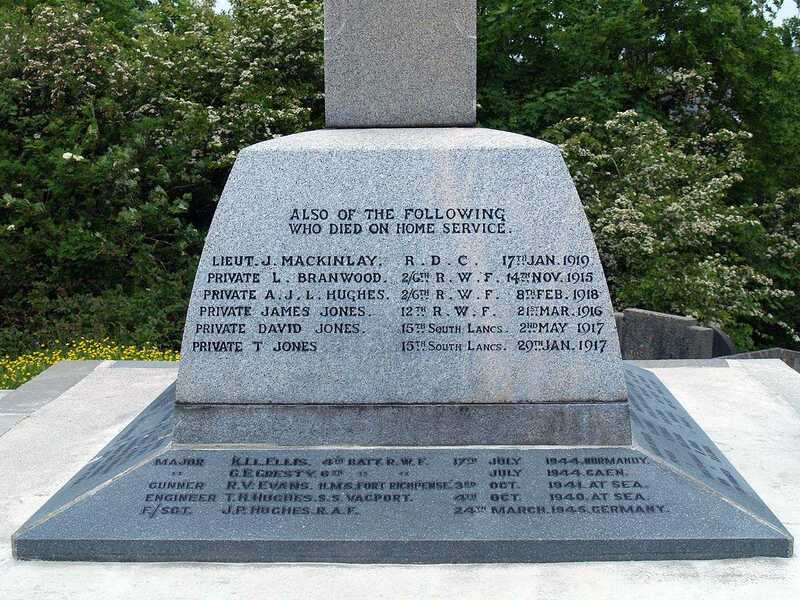 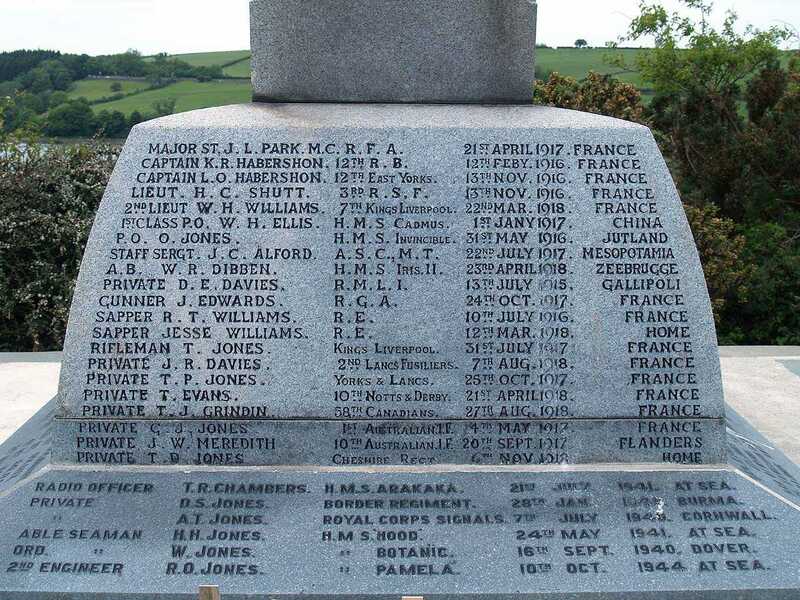 Anglesey, Menai Bridge War Memorial WWI and WWII Casualties Names. 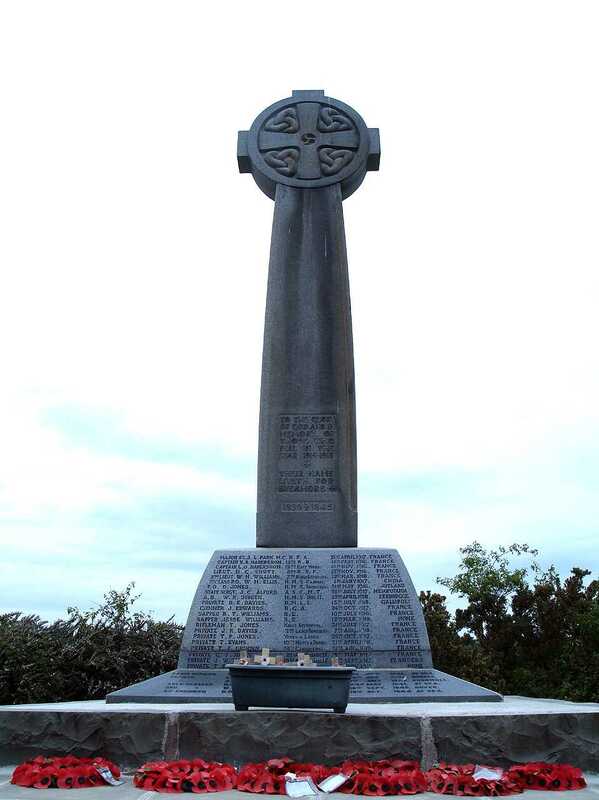 5, Crossing Terrace, Llanfai P.G.